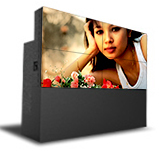 The DVS-6050R9 is a rear projection, LED-illuminated XGA rear access video wall cube featuring a diagonal size of 60 inches (1219 x 914.5 image size). 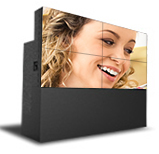 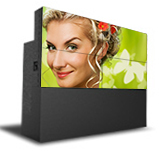 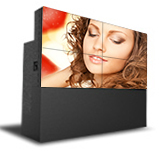 Powered by the latest single chip DLP technology, the DVS-6050R9 videowall delivers exceptional image quality with a native resolution of 1024 x 768 pixels in an aspect ratio of 4:3. 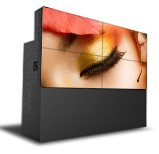 Incorporating state-of-the-art LED technology as its light source, the DVS-6050R9 videowall offers you an array of additional benefits – both in increased performance and lower cost of ownership. 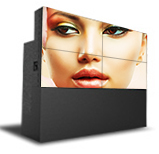 LED-illumination in videowalls offers wider color gamut, 25% increase in perceptional brightness, improved brightness control, reduced artifacts, lower maintenance and because they contain no lead or mercury, they are more environment friendly. 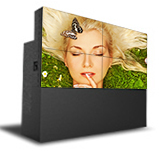 Boasting of high Contrast ratios, (1,500,000:1), the DVS-6050R9 videowall delivers crisp, sharp whites and deep dark blacks producing 3D-like images. 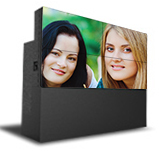 An auto-color calibration system continuously monitors sensors in real time and automatically adjusts the color temperature and brightness in a videowall ensuring control room operators view a perfectly uniform image across the entire screen at all times. 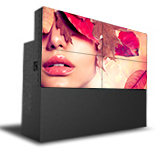 The unique combination of DLP expertise, in-house design and Delta’s unrelenting drive for quality and perfection ensures the DVS-6050R9 videowall delivers the highest levels of reliability. 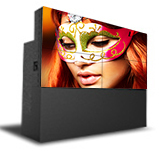 The projection engine of DVS-6050R9 videowall is mounted inside the cube on a six-axis adjustment base, which provides the ability to make precise geometric adjustments in six directions to obtain pixel-perfect alignment between individual cubes. 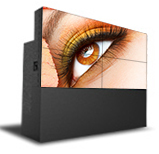 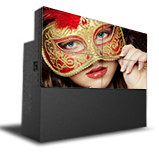 The standard screen used on the DVS-6050R9 videowall offers unsurpassed contrast, wide viewing angles and superb centre-to-corner brightness uniformity. 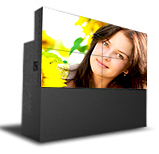 DMD 0.7” DMD 12 deg.